Rava | Life's Conundrum - Eat to Live or Live to Eat? 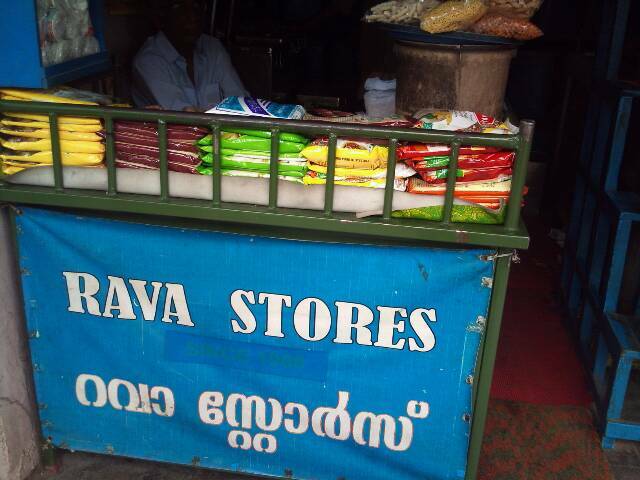 Rava stores is a family establishment that has weathered all the ravages of times. A tiny little store which has survived the onslaught of modernization and thrived despite changes and the challenges of the economy. It is a store which sells the finest quality locally produced spices, masalas, pickles, pickling spices, dried vegetables, condiments, sweets, savories , chutneys and mixes native to Palakkad. The beauty of this store is that it procures its goods from vendors who make them from home and therefore promotes the local cottage industries. Rava stores holds a very special place in my heart because my dad and my grandparents swore by it and were very faithful customers. I cherish the memories of coming here year after year as a child and even today have made myself visit the store and buy my favourites every time I am in Palakkad. Nothing has changed since I was a child. The way the goods are stored in rectangular metal tins and stacked on the old wooden shelves, the blue shutters or the smell of freshly ground masalas. All this evokes a great sense of nostalgia and a small sense of joy that something dear to me from my childhood has remained exactly the same. 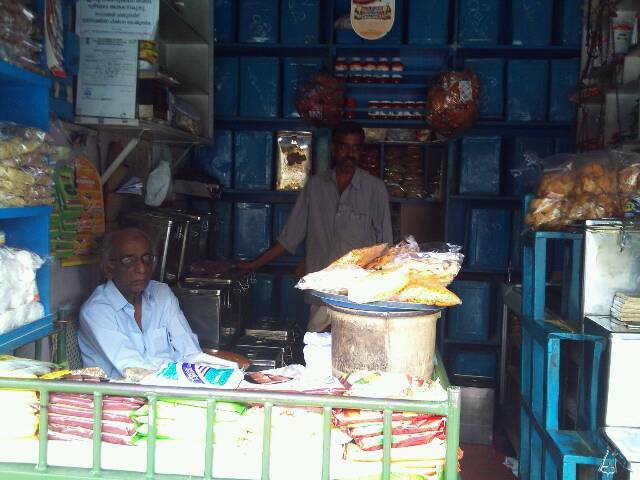 Long live Rava stores. I hope my children will also keep this tradition alive and make the culinary pilgrimage to Rava stores every time they visit Palakkad. I hope they cultivate their taste buds and develop the fondness for Mahaani, Kaduku Manga and Tapioca Poppadums and everything else that Rava stores has specialized in supplying for generations.